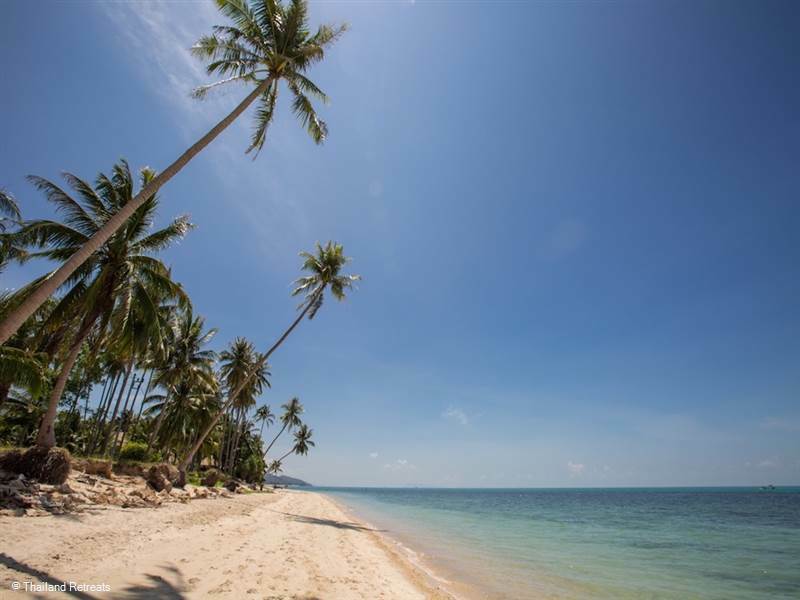 If you want to stay on Koh Samui, you are literally spoilt for choice when it comes to accommodation. If you like to get up in the morning and simply pad barefoot from bed to a lounger on the sugary white sand, you’ll want to choose a beachfront villa. 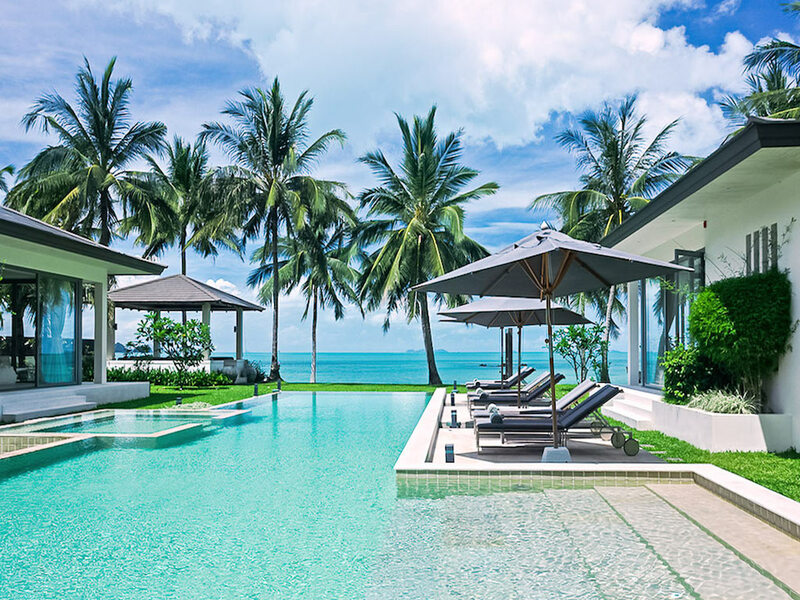 Baan Asan is situated on what is increasingly being considered as Koh Samui's most exclusive and scenic beach in the south west of the island with an incredible range of high-end facilities perfect for a family get together, group luxury getaway and a top choice for high level business meetings. The villa has a penthouse mastersuite, 4 beautiful guest suites incorporating 2 childrens rooms all set around a beachside infinity edge pool set in beautiful lawned grounds. 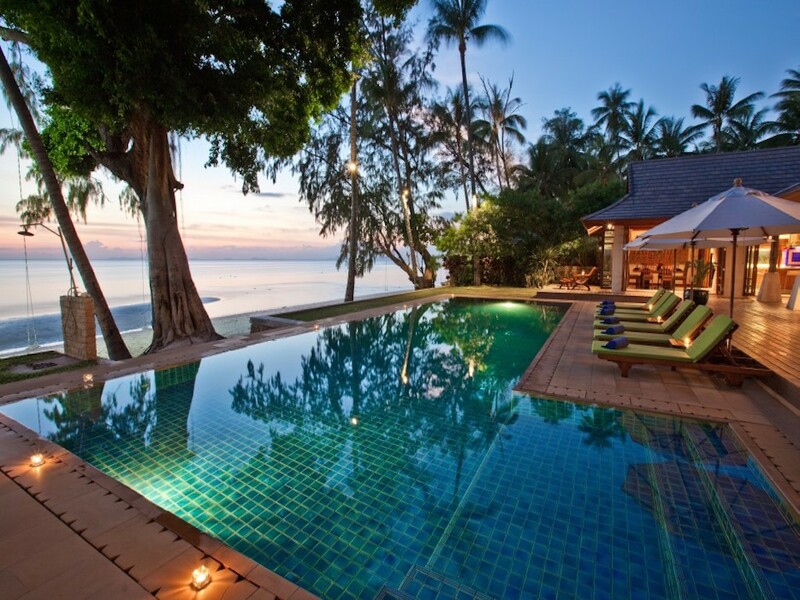 This elegant beachfront villa sleeps up to 40 guests and is perfect for a wedding or special occasion. Staying here is like having a luxury hotel all to yourself. It’s situated directly on the peaceful Maenam beach. The villa has wonderful staff on site from villa managers, to chefs, drivers and security. 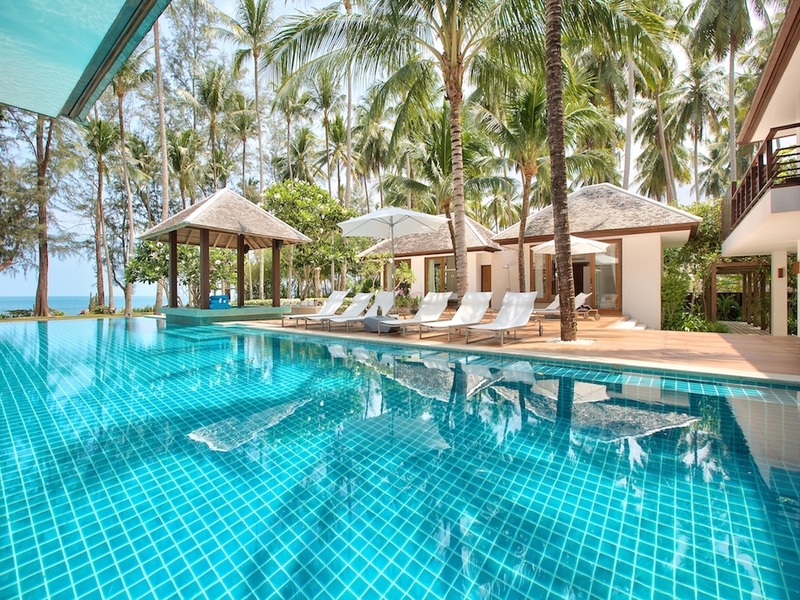 The villa has a fitness room, infinity pool, games room and plenty of areas to celebrate. Undeniable pleasure. This property has stylish light, bright and white interiors. 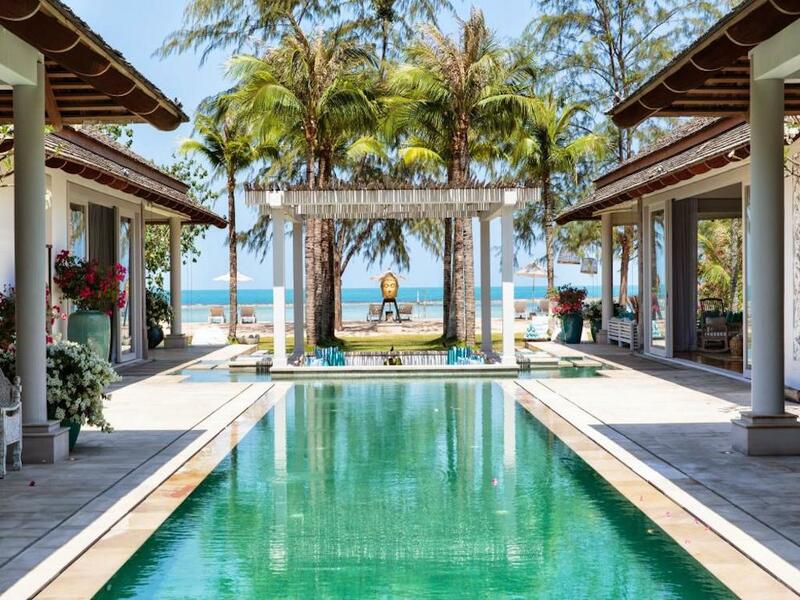 It’s set all on one level right on the beach in a quieter part of lively Chaweng. Exquisite tropical plants surround the manicured lawns and there are some lovely outside areas to relax and lounge. The villa has a large Jacuzzi, a sunken lounge in the swimming pool and a kid’s pool. The property also has its own gym. The villa staff are on call 24/7 to ensure you have a magical experience. The ultimate in stylish and sumptuous relaxation. 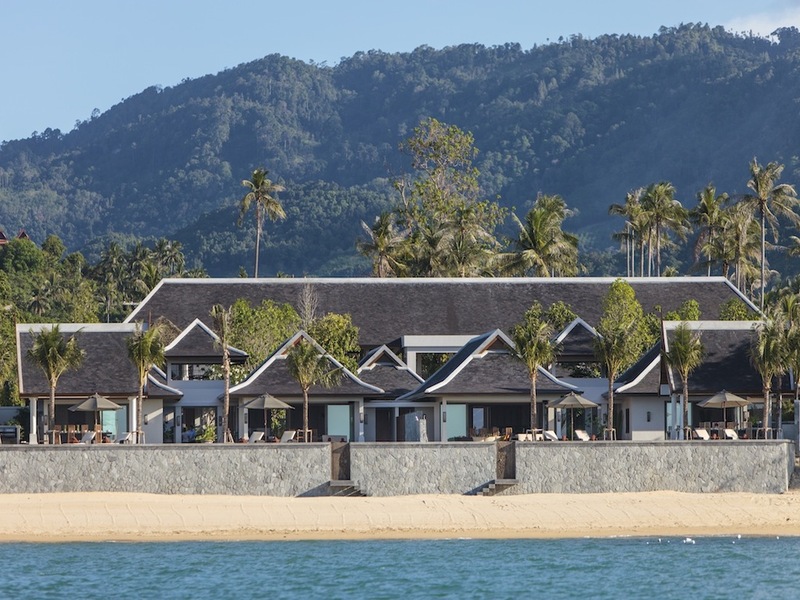 This is nestled away, right on the beach in Lipa Noi, Koh Samui. The property name can be translated as ‘peaceful waters’. It’s a great location for a family. The décor offers a complete blend of Thai and contemporary design. There is a kids playground and rock climbing wall, plus private tennis court and a swimming pool just metres from the sandy beach. It’s a calm and beautiful place – soothing for the soul.